Advance autographed copies ship on May 30. Amazon.com release date is Father’s Day, June 16, 2013. Order your autographed copy here. Galactic Diplomacy is a new book that introduces first hand witness and whistleblower testimonies revealing that the USA, Britain, Russia and other major national governments have been secretly conducting, or known about, diplomatic relations with different extraterrestrial civilizations since at least 1952. These testimonies reveal that ‘galactic diplomacy’ (aka ‘exodiplomacy’) with extraterrestrial visitors began with discussions over the development of thermonuclear weapons, the first of which was detonated by the Truman administration in November, 1952. Diplomatic discussions then expanded to include issues such as technology development, alien bases, extraterrestrials living on Earth, human rights, and use of earth resources. In frustration over lack of government transparency with their citizens, some extraterrestrials began contacting private citizens to inform them of the true nature of alien activities on Earth, and diplomatic relations with governments. Galactic Diplomacy prepares the reader for the fact that technologically advanced extraterrestrial life exists, and has been visiting our planet since at least the 1940’s. This fact has been kept secret by a carefully orchestrated set of policies developed by national security officials with the historic support of a small select group of elected government representatives. These policies are implemented in highly classified compartmentalized programs with strict need-to-know security provisions in place. This means that the vast majority of government, military and corporate officials are simply out of the loop on the extraterrestrial issue. Not only have select governmental authorities deceived their citizens and peers about extraterrestrial life, but major governments led by the U.S. have secretly entered into direct diplomatic relations with extraterrestrial life. Most disturbing is evidence that some major governments, principally the U.S., have entered into secret agreements with some extraterrestrial groups that have de facto ‘treaty’ status. Some of these agreements concern the acquisition and development of extraterrestrial technology, and their advanced knowledge, found around the world or in outer space. “Galactic diplomacy” – which I use as a synonym for “exodiplomacy” – is currently a highly classified national security program where a select group of authorized government, military and corporate officials, are secretly meeting to discuss extraterrestrial life and technology. In some cases, these officials are communicating directly with representatives of extraterrestrial civilizations. The reader has basically three choices given the startling evidence that galactic diplomacy is secretly occurring. The first is to dismiss testimonial evidence of extraterrestrial life, and tacitly allow select government authorities to indefinitely continue their secret galactic diplomacy. Debunkers typically raise the cliché “extraordinary claims require extraordinary proof,” and proceed to establish an extraordinarily high standard for accepting any evidence as admissible on the issue of extraterrestrial life. They then proceed to debunk all evidence for alien visitors to our world on the basis that none of the testimonial evidence reaches the extraordinarily high standards required to prove “extraordinary claims.” Yet, truth remains true even when one is unable to prove it. Eyewitness testimony doesn’t cease to be evidence simply because a witness or whistleblower can’t prove what they saw or experienced. Getting to Yes is the title of a popular book in the field of conflict resolution that reveals how to conduct negotiations based on recognizing all the parties “needs” or “vital interests”, rather than positions. A necessary first step is recognizing the needs of all parties in a negotiation, and having them adequately represented. In “principled negotiations”, all parties interests are represented. When it comes to the visitation of extraterrestrial life, testimonial evidence reveals that private citizens are a party whose vital interests in secret negotiations have not been represented at all. This indicates that secret negotiations are “unprincipled” according to the model developed in Getting to Yes. 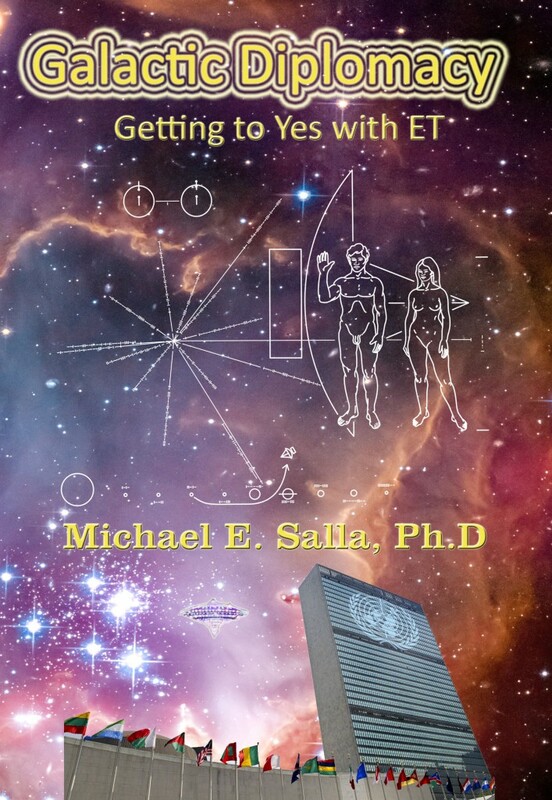 “Getting to Yes with ET” is consequently not solely diplomatic activity secretly pursued by government, military and corporate entities from around the world, but an inalienable right that belongs to private citizens. Private citizens have a right to have their interests directly represented in any negotiations where their vital interests are involved. In the United States, this is recognized in the Constitution where diplomatic agreements require ratification by the two thirds of the U.S. Senate which directly represents the interests of private citizens. Private citizens have an inherent right in being directly represented and/or participating in any decisions over who among the various extraterrestrial visitors are willing to satisfy our vital interests in any diplomatic agreements. Guaranteeing a direct role of private citizens in any agreements reached with extraterrestrial civilizations will ensure that our vital interests are met, and we properly evolve as a planetary civilization. The choice is up to you. Order your copy of Galactic Diplomacy and prepare yourself for the grandest adventure of all – the journey to galactic citizenship! Note: This article is an extract from the “Introduction” to Galactic Diplomacy: Getting to Yes with ET (Exopolitics Institute, 2013). Release date on Amazon.com is Father’s Day, June 16, advance autographed copies will be shipped by May 30.